Priscilla Opoku Kwarteng would have been 21 years if only she was alive or had survived the accident. 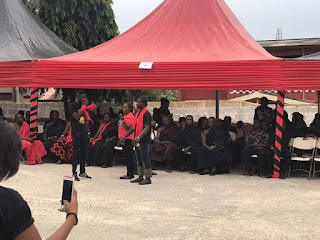 The family of Priscilla Opoku Kwarteng who was also known as Ebony; celebrated her birthday even though she has passed on. 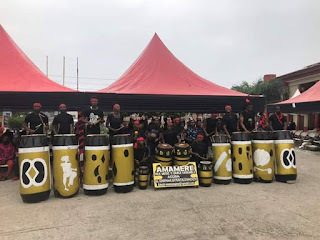 Ogee The Mc who used to be longtime partners with Ebony posted this on social media. 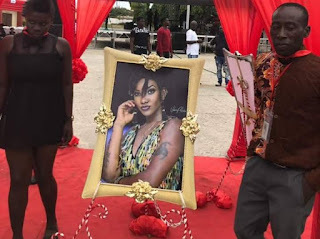 The family decided to celebrate the open-spirited Ebony on her birthday rather than mourn. Today mark exactly one week since her demise. 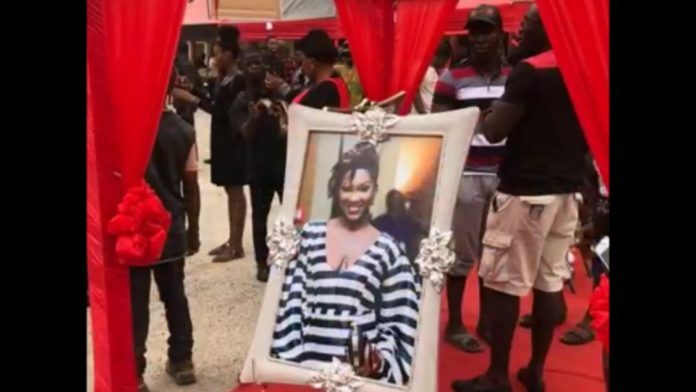 At the time of the tragedy, Ebony was with a friend known as Franklin and one other soldier who was there to provide safety for the girls. The only surviving person was the driver, who is currently receiving treatment. Today marks one week. 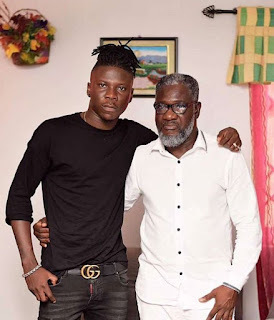 Earlier today Stonebwoy was seen with Ebony’s father at the St Martin De Porres School.